Even if Romney is a pragmatic centrist, I question his ability to act independently of a party that I fear has become beholden to people I view as extremists – anti-intellectuals who are hostile to women, minorities, the poor, immigrants, and gays, and who don’t believe in evolution, diplomacy, protecting the environment, equality for women, global warming, and gun control. 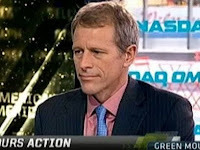 Can you imagine doubting evolution in the company of elites such as Tilson? You would automatically qualify, in their view, as an extremist. To question whether all of biology could have somehow arisen by itself makes you an anti-intellectual. On the other hand the evolutionist’s insistence that they hold the truth is the intellectual approach. For evolutionists, their views are true and good and anyone who so much as doubts is automatically linked to all manner of nefarious thoughts and deeds. Ironically all this comes after Tilson complains that “the political environment has become very toxic.” So while pointing the finger and castigating those who don’t silently go along with their dogma, evolutionists simultaneously bemoaning the toxic environment. Religion drives science and it matters.